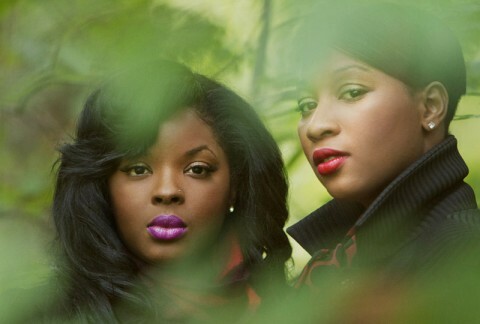 The duo Lady turns out to be an intriguing collaboration for anyone that remembers the soulful output of the early 2000s. It marks a union between UK singer Terri Walker, fondly remembered for some great neo-soul tunes like 'Drawing Board' and 'Ching Ching' and Nicole Wray. She was previously a protegee of Missy Elliott, and for a short spell, the de facto female singer signed to Damon Dash's Roc A Fella Records imprint. (She once recorded a radio jingle for me which ended 'Nicci Wray - Roc for life!' Apparently not, it would seem!) Their track 'Money' is a bright, stirring piece of retro-flavoured soul that serves as a highly refreshing antidote to the ongoing glut of lifeless electro pop masquerading as 'R&B'. It appears via the Truth & Soul record label. Watch out for an album imminently. 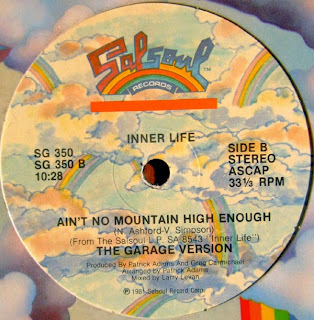 Inner Life's 'Ain't No Mountain High Enough' hits you as instantly nostalgic and familiar, standing as it does as a disco-tinged Salsoul version of the song made famous by Diana Ross and Marvin Gaye, among others. In reality, there's little of the core song retained in the main WhiteNoize Remix, which instead opts for some lush strings and horns, and an overall groove to give a warm, feel-good vibe to any dancefloor.